We obviously speak to a lot of business owners about approaching retirement – as a result of recent research we now know that business owners in the 60 to 69 year age bracket represents 37% of all business owners which is a substantial increase on the 21% in 2010. 36% of those were challenged by the need to provide adequate capital for growth and retirement and also providing liquidity for family owners to exit (33%). Firstly, business owners are almost universally delaying their retirement – this first occurred as a result of the GFC – many business owners (and the general population) saw retirement savings drop in value – some share portfolio’s reduced by 30 or 40%, property values were also reduced as were the valuations for privately held businesses and often this was made worse by banks demanding clients reduce their levels of debt. The second emerging trend and again this has been the case for some time now is that of partial retirement or semi-retirement (a foreign concept to the preceding generation – who often simply worked until their 65th birthday (almost literally) and then retired. Many people are working two or three days a week and having extended weekends in the country at the beach or playing golf et cetera well into their 70s and in some cases into their 80s. Thirdly, we often see a reluctance of business owners to actually commit to retirement partly through fear of the unknown and the lack of clarity in exactly what they will be doing in their life after business. 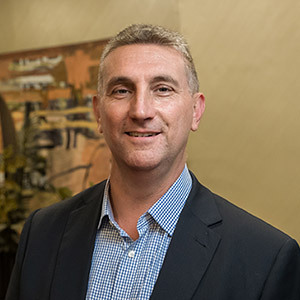 At our recent client conference I was lucky enough to spend some time with Peter McKnoulty of Transition Planning Australia who work closely with business owners to help them prepare for the substantial changes that occur as they face retirement. These issues are significant not least because due to vast improvements in medical science and understanding of health and ageing our average life expectancy has increased substantially and we can therefore expect to spend far longer “in retirement”. How do I minimise Capital Gains Tax?